Live from the International Stroke Conference! - Frazer, Ltd.
Are you new to mobile stroke care? Or perhaps curious how it works from the experts that operate the mobile stroke units themselves? We have a treat for you this week at the 2018 International Stroke Conference. 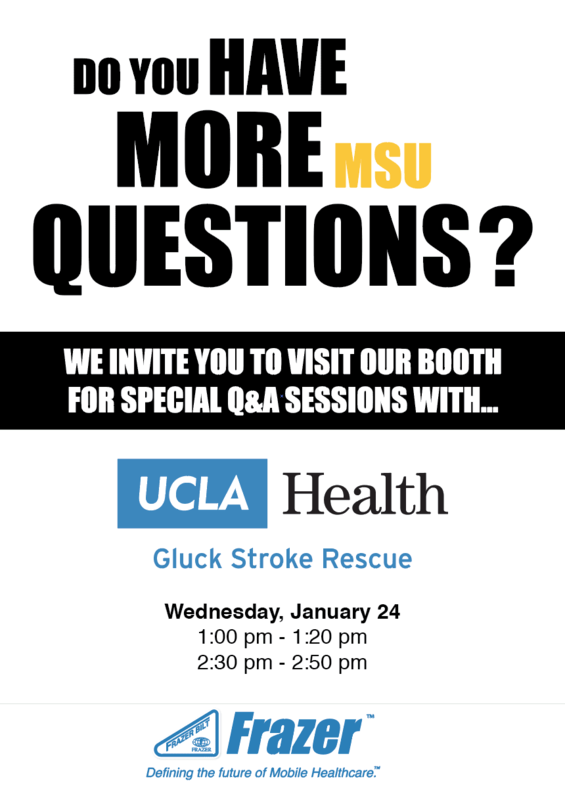 In booth #121, Frazer will be hosting two Q&A sessions with members of the UCLA Health Gluck Stroke Rescue Team. We will also monitor for question submissions as they happen live during the sessions – we welcome your participation! Hope to see you live on Wednesday!